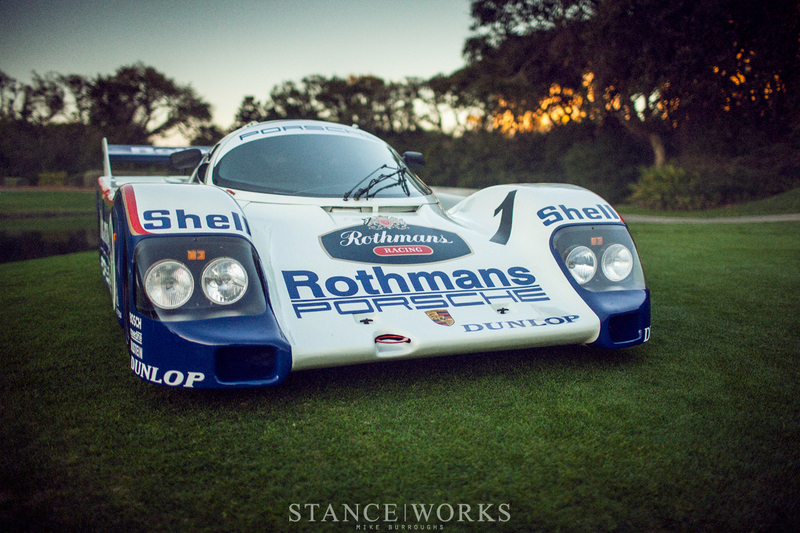 Porsche's story of the 962 begins with its predecessor: the acclaimed 956. 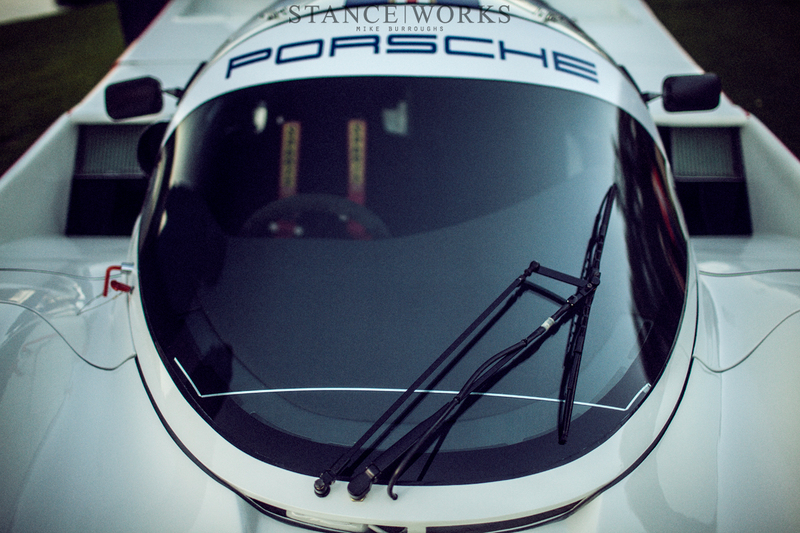 Born in 1982 as an entrant for the FIA's all-new Group C World Sportscar Championship, the 956 was outfitted with many "firsts" for the Porsche brand: an aluminum monocoque chassis, a double-clutch system, and aerodynamic ground-effects. Powered by the same turbocharged flat-six that was mated to its predecessor, the 936, the 956 produced a staggering 635 horsepower and weighed just under 1800lbs. The 956 was, by all counts, a technological feat, still holding the overall Nurburgring lap record of 6:11.13 from 1983. It laid the groundwork for the 962 - similar in most aspects, but inarguably one of the most legendary racers of all time. The 956's success in European racing had American privateers piqued with interest. After John Fitzpatrick imported his JDavid car and won an SCCA CanAm race at Road America, American teams were raving. Porsche pitched 956 involvement in IMSA's new GTP category, modified with a simpler single-turbo engine and reinforced footwell, hoping to skirt rules that stated a driver's feet must fall behind the front axle, four full inches behind the 956's existing layout. IMSA was unsatisfied with the proposed reinforcement, and as a result, Porsche returned to the drawing board, penning a slew of changes to the 956, the result of which birthed the 962. The largest design change was, of course, to the car's layout. To ensure driver safety per the rulebook, the wheelbase was extended 12 centimeters, with the nose growing equally short to retain the car's overall dimensions. Other changes came in the form of details: a steel roll cage replaced the 956's aluminum tubing, and the tire layout was altered. 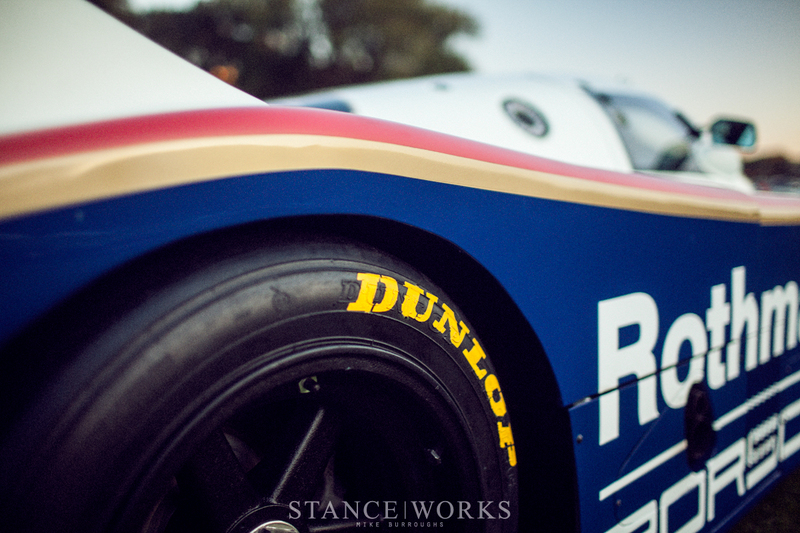 Group C ran staggered sizing, with larger rear tires; IMSA, contrarily, required equal sizing front and rear. A new rear wing was fitted to the 962, and fuel capacity was increased from 100 liters to 120. The engine for the 962 was, in many ways, archaic in comparison to its older sibling. The 956 was fitted with a twin-turbo 2.65-liter water-cooled four-valve engine with twin ignition, while the 962 was initially re-worked with 2.86-liter air-cooled two-valve single-spark engine with a single turbocharger. Later in its life, the 962 received an ANDIAL-built 3.2-liter Bosh Motronic-fired engine, among others. The refined lump helped the Porsches to counter the V8-powered likes of Chevrolet, and the powerhouses Jaguar had fitted to their cars. 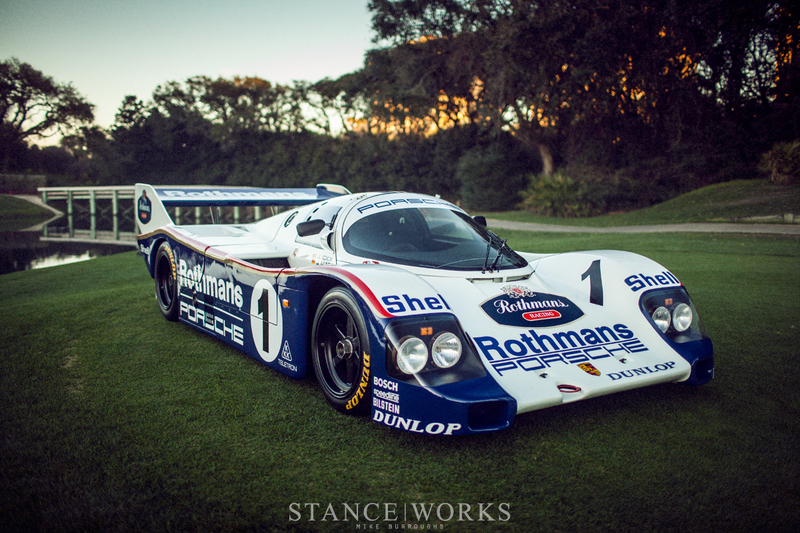 The 962 was widely considered easy-to-drive, and remained cool inside; both lent to the car's successes in racing. After its debut in 1984, the car was quick to conquer nearly every aspect of the world of motorsports. Built specifically to compete in the IMGA GTP Championship, it should come as no surprise that the car did just that, winning consecutive championships in 1985, 1986, 1987, and 1988. 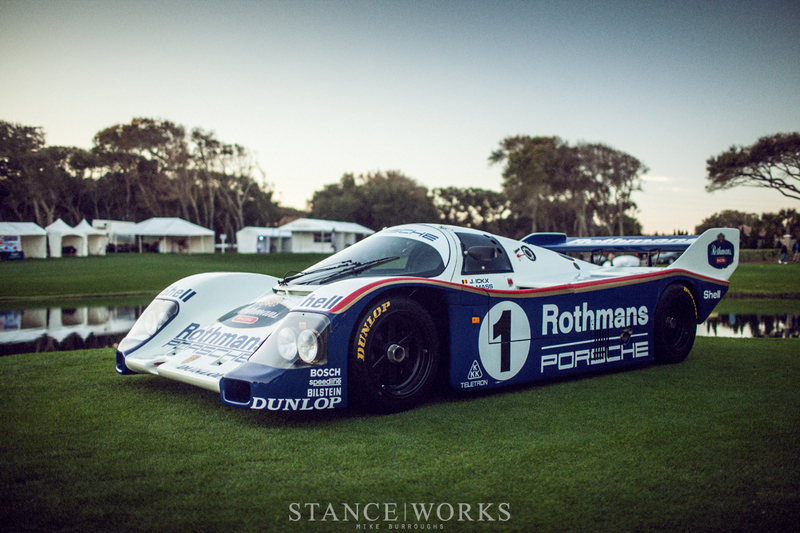 With its success, the European 956 saw rapid replacement; the 962 was modified to compete in the World Sportscar Championship, winning in both 1985 and 1986. 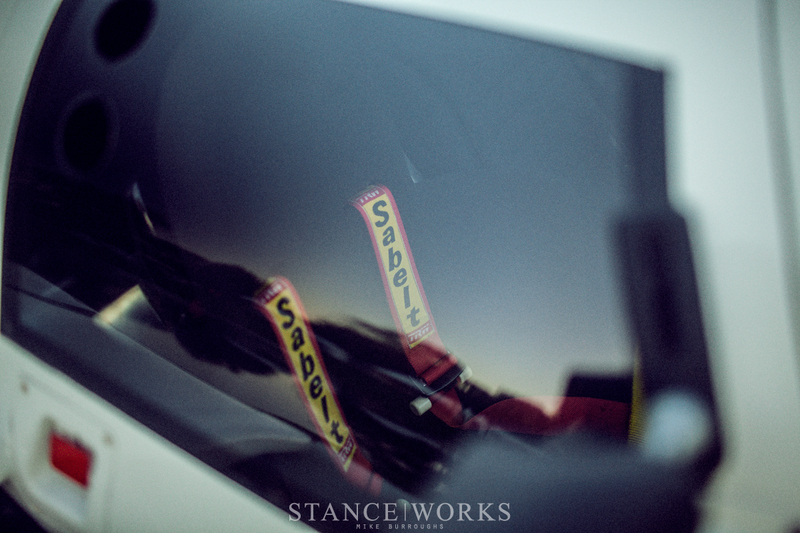 The 962 won all five All Japan Sports Prototype Championships, as well as all four years of the Supercup series. From 1987 through 1992, the 962 dominated the Interserie Championship. Most prevalent of all, the 962 won the 24 Hours of Le Mans in consecutively in 1986 and 1987. As far ahead as a full decade after the car's introduction, the 962 was still active in racing, with Dauer Racing's heavily modified example winning the 24 Hours of Le Mans once more. '94 was the final year of competition for the 962, with an original 962C winning the All Japan Grand Touring Car Championship event at Fuji Speedway. The 962 has earned its place amongst, or even atop the greats of Motorsport. The 962's history is as lengthy as it is rich, with each individual 962 deserving of its own story to be told. A single article only allows us to scratch the 962's surface, and as such, we leave you with photos of a gorgeous example. This one was formerly part of Bruce Canepa's renowned collection, gathered as one of many cars to celebrate Jochen Mass's accomplishments in Racing at last years Amelia Island. 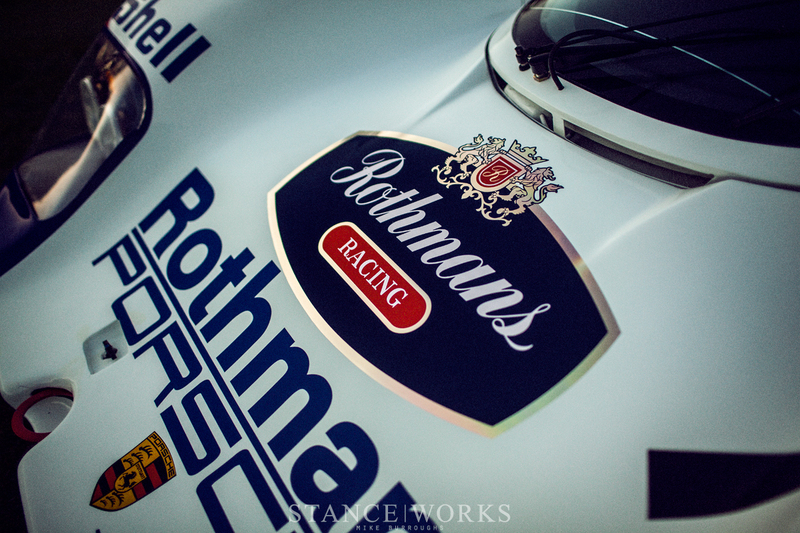 The iconic Rothmans Livery atop the epochal sports car held our attention until the evening's light disappeared. The wait continues for our chance to see yet another.